On eBay, a Virgin Mary Grilled Cheese Sandwich sold for $28,000, a ghost in a jar for $55,000, and a Corn Flake shaped like the state of Illinois $1,350. In each of these very real examples, auction participants placed significant value on the items they were pursuing, in spite of their questionable value. These lucky eBay winners may have also received a case of Winner’s curse, the phenomenon where a winning bid in an auction exceeds the intrinsic value of the item purchased. The intrinsic value is based of course, on perfect information and that all participants are rational decision makers who are skilled in valuation. Unfortunately, human beings are not always rational and information is rarely – if ever – perfect. So how do you avoid winner’s curse for your TLD? In theory, it is an easy concept but reflecting it in your financial plan may require some effort in determining the value of the gTLD business. Updating your business model in conjunction with financing costs and present value factors will be reviewed to help analyze the auction price and create a deal matrix. Examine your business model: The best place to begin is your volume analysis or market projections in the business model. Review your assumptions. What other strings are similar to your string? 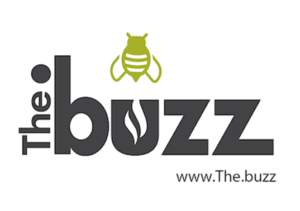 How will the volume of applications impact your target market, expected launch date, etc.? Verify that the growth rate is defendable in both the short and long-term. For example, a straight 10% year–over-year growth rate can result in a sizeable sales volume in later years after a substantial portion of your market has already been secured. Could future gTLD applications impact your target market? Make sure you can justify each year’s volume and if possible, tie them in to other comparables. Be realistic and create your scenarios independently. Financing: Ensure your financing costs, both known or unknown, are also reflected in each of your scenarios. If you require funding for your auction or your business, ensure all of the costs are reflected. For example, if your financial model only requires interest payments for three years with the full amount payable in year five, make sure there is sufficient cash. Do not ignore the payment just because it exceeds the boundaries of your model. Revisit your expenses to ensure they reflect reality and don not forget the taxman. He won’t take it too kindly. Take a hard look at your marketing plan and budget to ensure it considers tomorrow’s competitive reality. 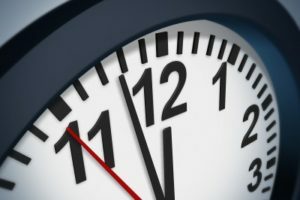 Present Value: Remember that a dollar tomorrow does not go as far as a dollar today. Adjust the expected cash flows over the period to reflect present value. How much should I bid or how much are my competitors going to bid? 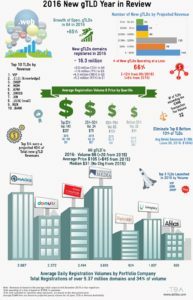 What is the TLD worth? Unfortunately, the answer is far less definitive than the image of the Virgin Mary on a grilled cheese sandwich. Each applicant within a contention set will have a unique business model resulting in a different auction value. 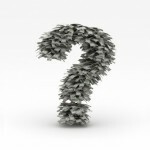 So, the question becomes, what is it worth to your business? It might be worth $15 million to your competitor, but use that same auction value in a different business model and it could take decades to break even. So even if you could peek into your competitors’ valuation, the question remains unchanged. 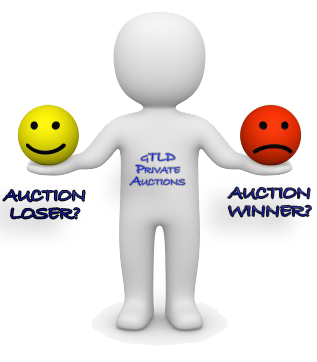 The purpose is to understand the impact of the auction value on your gTLD’s financial model. A deal spectrum is a handy method of analyzing the results. Deal: When your auction value works in each of your scenarios from the worst case to the best case scenario while providing a better than expected rate of return. Ideal: When the auction value works in the most likely and best case scenario and provides a reasonable rate of return. What’s the Deal: When the auction value provides a good return in the best case scenario but is a stretch or marginal return in the most likely scenario. Raw Deal (Winner’s Curse): The point where the auction value no longer makes logical business sense and irrationality takes over. The expected rate of return is negative or at best, marginal. Determining the point where the auction value alters the deal will assist in developing the company’s short and long-term strategic plans. Shifting of the Scales: Each applicant needs to determine the point where the scales shift. At what price is it better to walk away? Again, each applicant will need to determine this amount. If you are sitting in a private auction with a current bid amount of $6.2 million with the last bid of $6.0 million with three applicants who have agreed to an equal split, you would receive $3 million. How long would it take for you to recover that amount if you were to operate the business? Are you better off losing in the auction and either using those funds to finance other strings or simply walk away and enjoy life? Simply, the upside of losing at auction. If the payback period is justified than obviously, stay in the game. In conclusion, reviewing your gTLD business model will help build a financial model that accurately reflects today’s realities and tomorrow’s expectations. 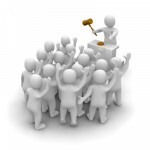 Assessing various auction values on your business will help in developing a robust auction strategy. An auction value should be assigned to some type of deal matrix (such as a deal, ideal, what’s the deal or raw deal) with defined action plans. The matrix will help determine the point whereby losing may be a winning move and allow applicants to take advantage of other opportunities and avoid bids that will not provide the necessary returns for the gTLD. gTLDs are the wave of the future and not the domain of flakey ghost chasers.